Bestech Australia have announced the release in Australia of the next generation of the Furness Leak Detector for in-line production leak testing of automotive components, pharmaceutical products, safety pressure devices, plumbing fittings, gas appliances, medical equipment and many other categories of products. The new Furness FC770 leak Detector is a development of the popular FCO 750 instrument. The new instrument Utilises the Furness patented flat diaphragm differential pressure transducer for optimum precision and robustness, and the leak test specific spool type valve block with spool position monitoring. These elements, plus the ‘state-of-the-art’ electronics, are the heart of the versatility and reliability that Furness users have come to expect of their Furness leak testing and flow testing instruments. The prime feature of the new FCO770 differential pressure decay leak detector is its new full colour graphical touch screen display for graphical and other image screen prompts to assist operators. An example of this innovation is the display the image of the particular product to be leak tested. Automatic storage of test graphs and other data and test recipes, or preset test sequences, for up to 300 different products is also standard. Each test recipe may include not only a conventional leak test but also automatically sequenced tests for blockage, ramp, and dump (sealed component test) for the one product. The user can be program the FCO770 via its front panel, or with a laptop or PC via its RS232, RS485, USB or Ethernet interface. All such interfaces are included as standard. The I/O for communication with external devices, such as PLCs and PC®s, may also be programmed via the front panel touch screen, or externally via a computer. Furness programming software and detailed User Guides are included on CD as standard with each shipment. Common with all other Furness leak testers, the new FCO770 can be set up by the user to test with vacuum or positive pressure as standard. The maximum negative pressure range is -100 kPa (0 kPa Absolute) and the maximum positive pressure range is 3 MPa (3000 kPa or 30 Bar). FCO770 with integral manual or automatic pressure and vacuum regulators are available. Depending on the application, an internal vacuum generator option is also available. If the application demands an external vacuum or positive pressure source, then the user can plumb the FCO770 via a specific external source port for connection to the external pressure source. 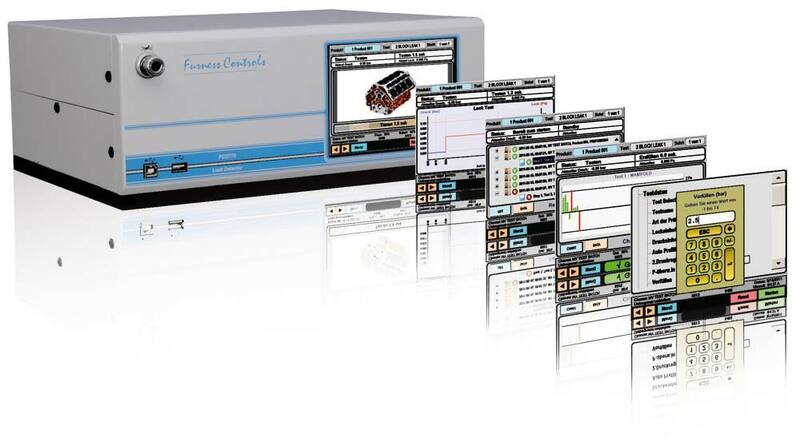 Often, the key to a successfully applying a complex instrument such as FCO770 to one of the most demanding industrial applications known, pressure decay leak testing, is the quality of support behind the instrument. With the full support of Furness Controls Ltd, U.K., Bestech backs its supply of all Furness instruments, including the new FCO770 pressure decay leak tester, with its fully trained engineering staff. Bestech staff are fully equipped to advise optimum solutions for most pressure decay leak test applications, and also to provide quick turn – around calibration, maintenance and repair of all Furness instruments.